I have tried so hard to fall in love with these Clinique wipes, or swipes as they call them but I just can't. I am always looking for the laziest possible way to remove my Makeup. Yes I know!, I am setting a bad example. Beauty Bloggers should know better, but in reality sometimes I just want to jump into bed as soon as possible and cannot be bothered using numerous different products I just want to remove my makeup and moisturise. When I seen Emily from EmTalks say she loved these wipes because they removed makeup so easy I immediately bought them with high hopes. The packaging is very bulky, in all honesty I actually quite like it but it is definatly not travel friendly. The wipes themselves do not feel luxurious at all, in fact my usual Garnier ones at much thicker and softer on the skin. Clinique claim these wipes are fragrance free but that is not the case at all! The scent is really strong, and in all honesty remind me of antibacterial wipes I clean my bathroom with. I don't feel these wipes are any good at cleansing my skin. When I have to remove makeup I have to use micellar water with them or my makeup won't budge. Saying this, the wipes aren't marketed as makeup removing wipes, Clinique claim they are perfecting for cleansing before makeup application because they exfoliate and moisturise the skin. Unfortunately they didn't do these things for me. All in all these wipes just aren't for me. 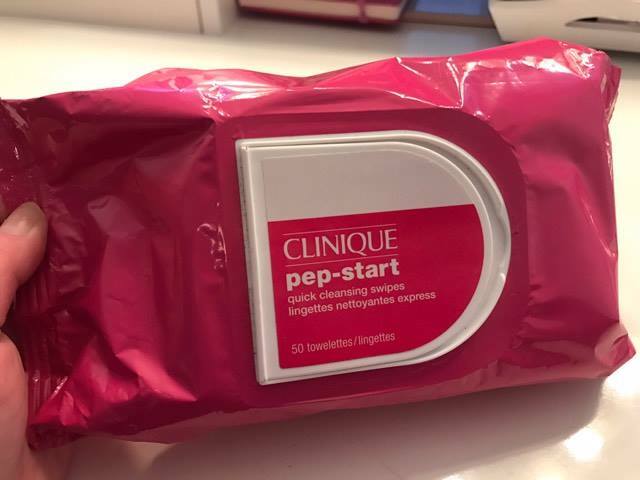 Although I have had a bad experience with these wipes I am still excited to try the rest of the Pep - Start range though as I have heard great things about it! Have you tried these wipes? Or anything else from the Pep-Start range? Let me know down below! 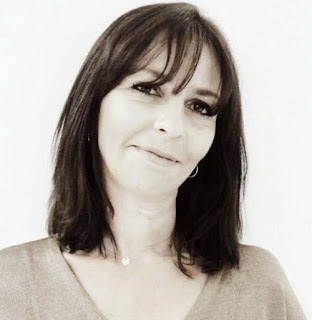 Jane Cunningham is one of the UK's most successful Beauty Bloggers. Her Blog British Beauty Blogger has gone from strength to strength since its launch 8 years ago. The blog is well known for Jane's extremely honest product reviews. Jane may not be your typical mid 20s Blogger but don't let that fool you. When it comes to Beauty products, especially makeup, Jane knows her stuff. What I love about Jane is she doesn't let her age define her makeup choices and isn't afraid to try out new trends, and encourages others to do the same. Jane makes a conscious effort to interact with her readers. She takes on board their suggestions when it comes to product reviews and also takes the time to chat during her Facebook live chats. 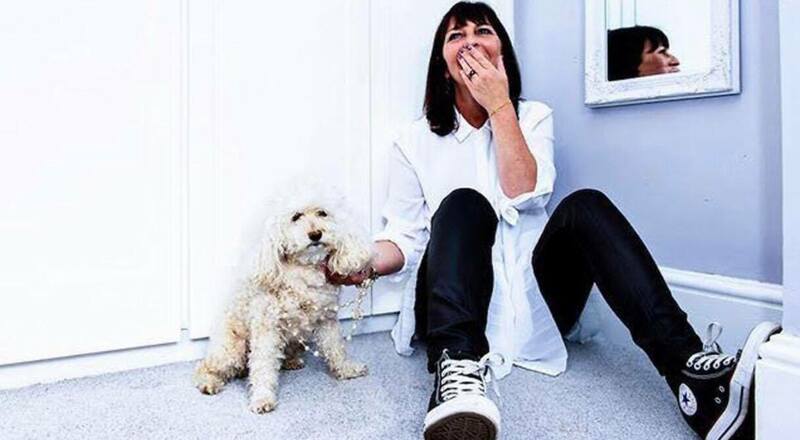 I highly recommend joining in one of Jane's Facebook Live chats if you are interested in hearing about New product launches and News from the beauty community. I was so excited when Jane agreed to this interview and I really hope you enjoy it. You are a very well known, successful blogger. How/why did you start Blogging? I was a beauty writer for print and started reading blogs in the US where they were quicker to adopt the concept than here. I just thought I could do it (this is 8 years ago now, so I started on blogspot!) and have my own opinion and voice about beauty in a way that wasn't possible writing for print. One of the main things I love, and what I feel is a major part of your success is your honesty when reviewing products/brands. Have you ever found it difficult to give negative reviews of products from brands you love? I don't find it difficult, because I'm not writing for brands, I'm writing for people who read my site, so it's important to present a correct picture of how the product actually is. Nobody will thank me for making something sound far better than it actually is and wasting their money. In the earlier days, there were often difficult conversations after a post but my view is, go and make a better product and then we won't have any conflict! 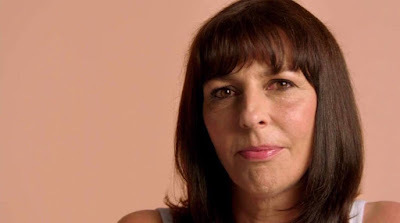 I recently took a brand to task over an app that used the term 'crow's feet' which I feel is not appropriate to describe a woman's face - appartantly they're now changing that wording to something more respectful so if you feel strongly it's worth making your point - sometimes brands do actually listen. I have only recently discovered the importance of good skin care, mainly due to the fact I hadn't found products that worked for me. What is your Skincare routine? Do you have specific products/brandsyou religiously use or are you too busy reviewing new products? I test a lot of products but my first love is make up and not skin care. To really road test skin care is a long job over many weeks and so I tend to 'review' skin care in terms of cleansers and masks or things that are easier to have a first impression on. I juggle my routine about all of time, although I'm currently using Dr Dennis Gross products which I am blown away by. They're so expensive though. As a beauty Blogger you must be inundated with new products and new brands to try but, If you could only use one Makeup brand forever what would that brand be? This is the impossible question - I love make up and love experimenting with new brands and products. I think if I truly had to choose one for ever I'd go with Chanel because it rarely puts a foot wrong in formalations or shades. Also, What Products can you not live without? Micellar waters, cleansing balms, lip balm (Lanolips) and mascara. I also use bareMinerals Complexion Rescue almost daily, so I'd miss it if I didn't have it any more! 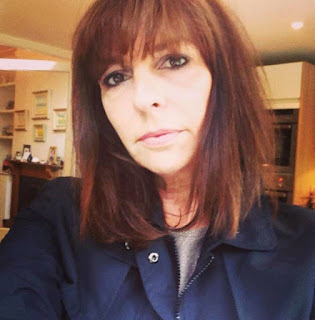 I have been blogging for a little over a year now and am still finding my feet. What advice would you give topeople who are considering starting a blog? I think to manage expectations - great bloggers make it look very easy but you have have to consider what you want from a blog and how it fits in with your lifestyle. In all the jobs I've ever had, blogging has been the one that has required the most time and effort. The word 'blog' comes from Web Log, and the original intent was as an online diary - so the word blog isn't really relevant to what we see today: Web Logs were never intended to be so professional, but as you can see, the genre has evolved and will continue to do so. To get a blog noticed you need to work extremely hard, be very focussed and know that a large audience doesn't just appear from nowhere - it's something you have to really, really fight for. If you're content writing for you and a small audience, I think that's much more freeing and enjoyable, far less commitment and more about your real personality and thoughts than pleasing brands. There seems to constantly be new product releases, I'm sure it is impossible to blog about every item. How do you choose what products to write about? I will always prioritise make up because it's what I love most but I guess I'm looking for things with a point of difference and something that the whole world isn't already talking about. 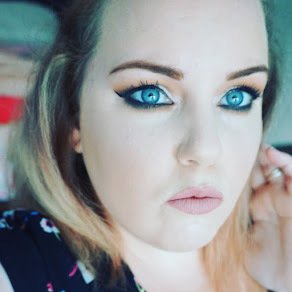 My blog isn't really about me, other than opinions of products, so you don't see selfies or get-ready-with-me kind of thing: I just try and bring an experience opinion so other women who love beauty have some kind of guidance if they want it. Charlotte Tilbury recently said in an interview 'Women don't really wear enough Makeup, they don't understand the power of Makeup........you can get more out of life if you maximise your beauty' What is your opinion of Charlotte's comments? Well, Charlotte is a make up artist - make up is her trade and her passion so her view makes sense from her side of the beauty world. But, I don't really like to see anyone pressured into something - if you don't like make up, don't wear it! Beauty isn't one thing - it's many, many things and I can see across Instagram and other social sites that women get caught into thinking they're far more beautiful with make up than without. They're just different things - make up should be fun, and nothing more. There seems to be new Beauty Blog's appearing daily. Do you find the time to read any? If so, are there any you recommend? I don't read daily, but blogs I find myself going to for catch ups are AModelRecommends by Ruth Crilly and LBQBlog by Hayley Carr. Drugstore Beauty products just seem to be getting better and better, some even surpassing the quality oftheir high end counter parts. What are your top picks from the drugstore? They do - the rise in quality of drugstore beauty is really shaking the premium brands. We're lucky to have brands like GOSH, Makeup Revolution and L'Oreal Paris (their foundations will match any premium formulas). The fact that you can buy a palette for under £10 and get decent payoff and good last opens up being part of beauty to so many more people and I'm all for that! Most of my blog readers are novices when it comes to Makeup. I quite often get messages asking where is the best place to start and what products/brands to use when you have no idea about makeup.....What would your advice be to these ladies? Get yourselves onto LisaEldridge.com - she does all sorts of looks with great advice, and don't heavily invest in a 'trend' product until you've tried a cheaper alternative to see if it's a good fit for you. With Instagram, blogs and YouTube, I think you can feel under pressure to have the lastest and greatest, no matter what the cost, and in reality, you can do just as well with a very basic line up. I would advise being colour matched for a foundation because when you get that right, everything else is so much easier. Other than that, a basic blush and mascara are the things from which you can build - don't be afraid to experiment. I usually advise anyone asking to buy a drugstore palette and a decent blending brush and sit down for half an hour, doing different looks and colours on each eye, wiping off and starting again, until you really feel you know that palette. It's a time investment that pays off. Let me know who else you would like to see included in this series!